Opening March 16th for the 2019 Stanley Steelhead season. Rod rentals and guided fishing trips are reserving now. Stanley’s BIG, Little Fly Shop! The Fly Shop is Stanley Idaho’s premier fly fishing tackle and supply store located in the shadows of the Sawtooth Mountains. Stanley Idaho is perfectly located on the headwaters of the world famous Salmon River of No Return and the renowned cutthroat fishery of the Middle Fork of the Salmon River. The Fly Fishing opportunities along these two Iconic, designated National Wild & Scenic Rivers and their tributaries is endless. The Fly Shop is a small shop, focused on fly fishing. We offer a great selection of fly tackle, rods, reels and an amazing fly selection focused on the Middle Fok and Upper Salmon Fisheries. 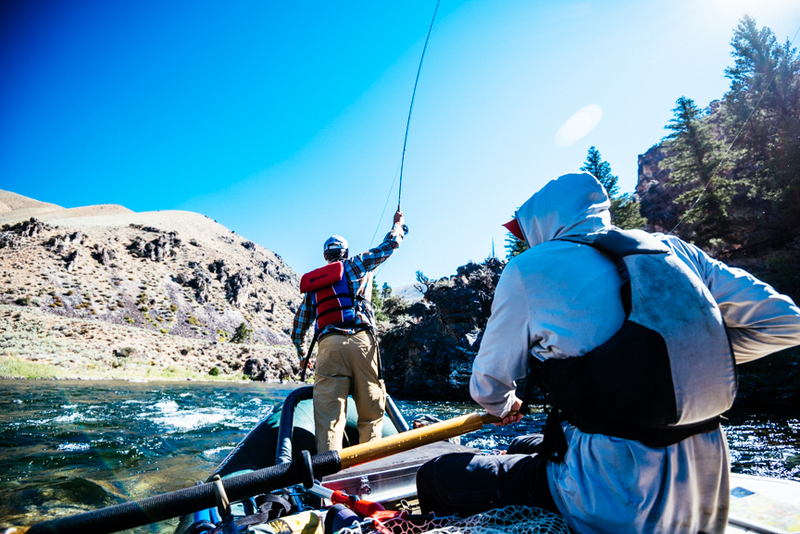 SFS will also offer an extensive rod rental program for Middle Fork visitors. Call 208.721.7151 to book a guide or talk fish. Come see us in Stanley!